A. Different flowering plants attract different butterfly species. Listed below, are some of the food source plants that a few butterflies and their caterpillars feed on in the Boston area. Monarch caterpillars feed only on the Milkweed plant leaves, and adult Monarchs feed on nectar from Milkweed, Aster, Goldenrod, Thistle and Mint. Painted Lady caterpillars feed on Hollyhock, Mallow Thistle and Legume leaves, while adults sip nectar from Milkweed, Asters, Cosmos, Ironweed, and Joe-Pye Weed. Black Swallowtail caterpillars feed on Carrot, Celery, Dill, Queen Anne’s Lace plants. 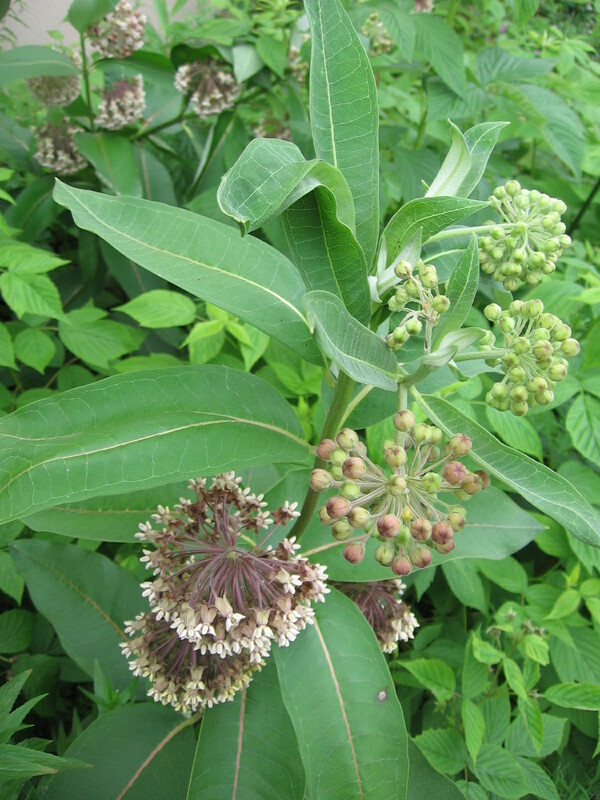 The adults feed on Milkweed, Red Clover, Thistle flowers. Cabbage White caterpillars feed on Cabbage, Broccoli, Kale and Radish leaves. Adults get nectar from Asters, Red Clover, Dandelions, Mustards and Mint. Butterflies like an open sunny area protected from wind. Birds are butterfly predators, so do not place bird feeders near the plants. Flat stones provide a warm spot for butterflies to bask. And, butterflies need more than nectar to survive; so provide them with shallow mud-puddles for minerals and salts. 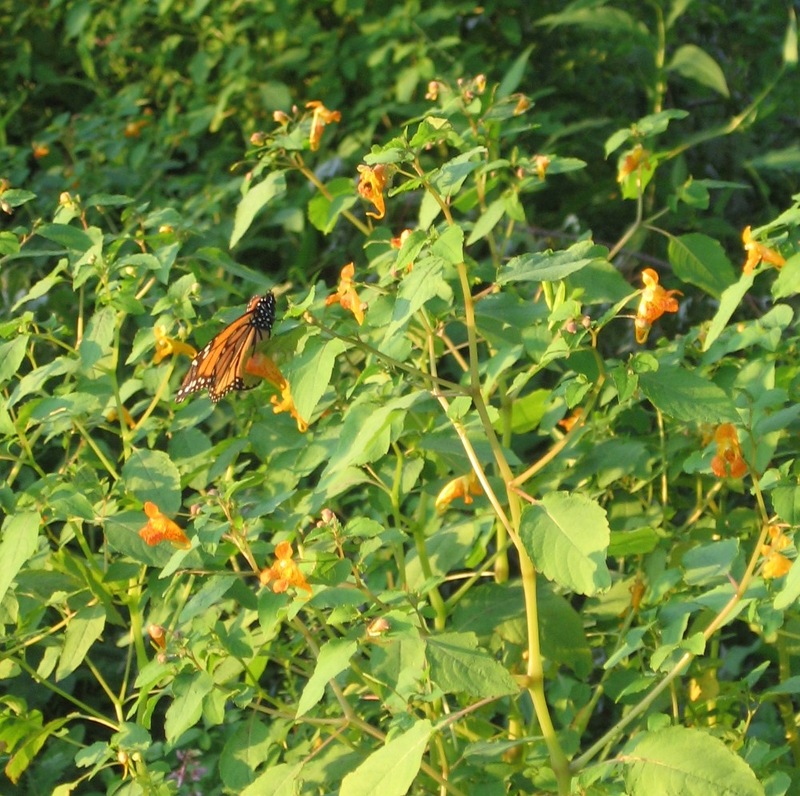 NOTE: The Monarch butterfly often mistakes the highly invasive Black Swallowwort vine (in the milkweed family) for Common Milkweed, and lays its eggs on the vine’s toxic leaves. 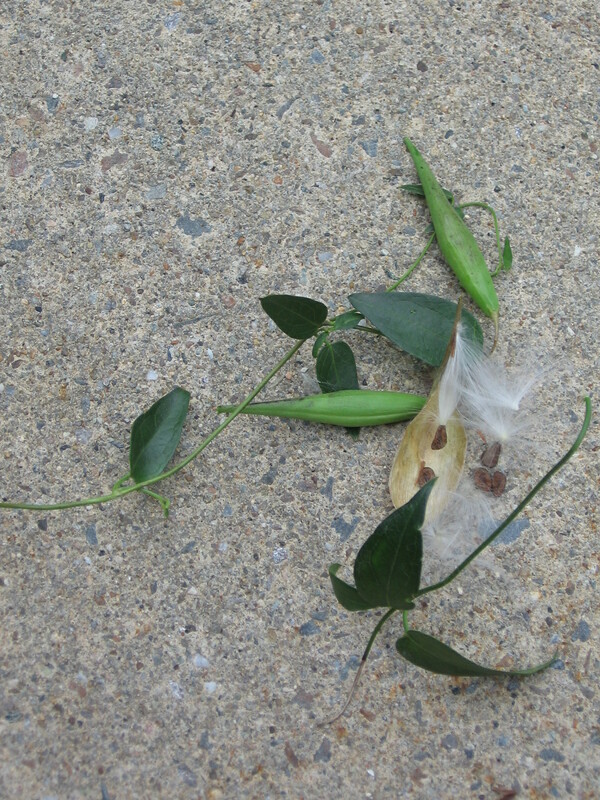 When the Monarch larvae develop into caterpillars, they eat the leaves and die. So, it is very important to eradicate the Black Swallowwort vine. You’ll find this vine climbing up fences, shrubs, and plants in urban and suburban areas.